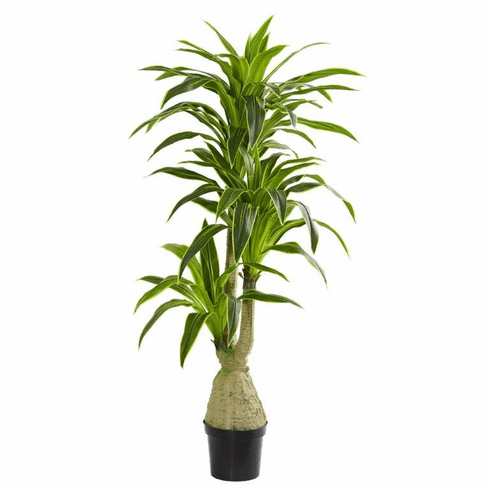 Standing at a height of 6.5 feet, filled with spears of lush green leaves exploding from delicate brown stems, this artificial dracaena is an eye-catching plant that can make your dining and living room feel brighter and more lively. Its compact shape can serve to accent any tight space near your desk or bookcase. Size: Height: 6.5 Ft. Width: 12 In. Depth: 12 In. Pot Size: H: 9.5 In. W: 12 In. D: 12 In.